Amanda Hesser is an entrepreneur and best-selling author. She is a co-founder of Food52, which won the James Beard Awards’ Publication of the Year, and she's been named one of the 50 most influential women in food by Gourmet. Before Food52, Hesser was a reporter at the New York Times, and the food editor at the Times Magazine. She wrote the award-winning books Cooking for Mr. Latte and The Cook and the Gardener, and edited the essay collection Eat, Memory. Her last book, a Times bestseller and the winner of a James Beard award, is The Essential New York Times Cookbook. Hesser is a trustee of Awesome Food, and is an adviser to The SpenceGroup. 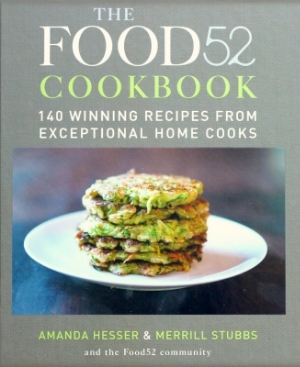 Amanda Hesser is an American food writer, editor, cookbook author and entrepreneur. Most notably, she was the food editor of The New York Times Magazine, the editor of T Living, a quarterly publication of The New York Times, and co-founder and CEO of Food52. Hesser is the author of five books--The Cook and the Gardener(1999); Cooking for Mr. Latte: A Food Lover's Courtship, with Recipes (2004); The Essential New York Times Cookbook: Classic Recipes for a New Century (2010); The Food52 Cookbook: 140 Winning Recipes from Exceptional Home Cooks (2011); and The Food52 Cookbook, Volume 2: Seasonal Recipes from Our Kitchens to Yours (2012). The Essential New York Times Cookbook was a New York Times bestseller. After finishing her first book, in 1997, Hesser was hired as a food reporter for The New York Times where she wrote more than 750 stories. While at the Times, Hesser wrote about the influence of Costco on the wine industry, uncovered the politics behind the New York City Greenmarket, and was among the first to write about Ferran Adria of El Bulli in a major American publication. While Hesser left the Times in March 2008 to focus on the development of Food52, she continued to write the "Recipe Redux" feature for the Times magazine until February 27, 2011. 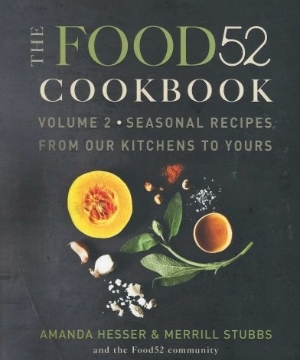 Food52 has won numerous notable awards including the James Beard Award for Publication of the Year (2012) and the IACP Award for Best Website (2013). Hesser was featured in Food and Wine's 40 under 40 list, was named one of the 50 most influential women in food by Gourmet Magazine, and had a cameo as herself in the film Julie and Julia. She lives in Brooklyn with her husband and two children. Visit Hesser's New York Times archive here.